Content marketing has definitely evolved into an assumed element of any inbound marketing strategy for pretty much every industry. It’s become a standard marketing practice and one that can’t be ignored. We explored how 7 SaaS companies are using content marketing to generate quality leads and customers. We’ll look at what methods they're using and discuss why they are successful, perhaps even sparking some ideas for you to implement within your own organization. I’m sure it comes at no surprise that HubSpot is leading the pack in terms of SaaS content marketing. They’re doing it all - from their blog, their content offers, their CTAs, their social media and even their email nurturing campaigns. HubSpot proves that content marketing can truly grow a business. 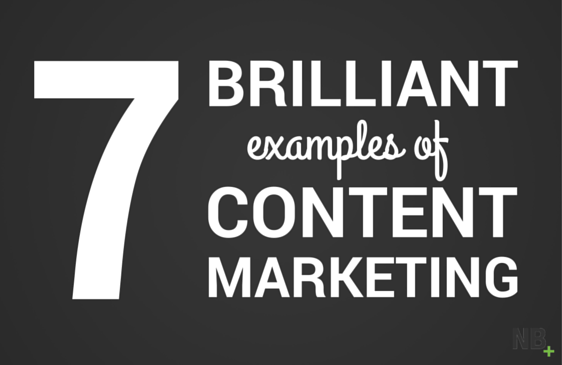 The bulk of HubSpot’s content marketing effort goes into their blog and their premium content offers. Their blog gets over 1 million page views a month and each post is optimized to convert. They use strategically placed CTAs all over the blog (and website for that matter) that align with the reader’s interests and helps move them further through the funnel. As an analytics software company that provides insights into the people who are visiting and interacting with your website, you might not expect KissMetrics to use content marketing to fuel their lead generation. But once you take one look at their site and the amount of information they have available (for free), it proves that notion wrong. KissMetrics has a very strong blog - which is segmented into separate topics areas - that offers a wealth of information about marketing, conversions, business growth and more. They use high-quality infographics as part of their content marketing strategy, which tend to do very well on social media - and drive traffic back to the website to convert that traffic into leads. KissMetrics also leverages webinars as a lead generation tool, hosting one per week. Additionally, they also have a learning center where they have compiled best practice articles, use cases and tutorials, which helps to educate their current and prospective customers on how to use the product, but also including industry-specific tips, strategies and best practices. Being that they’re in the business of creating a better customer service experience for their clients, I would expect to see Zendesk using a marketing approach that had a bit more of a personal, relatable feel to it. And guess what? That’s exactly what they’re doing! Like many SaaS companies, the prominent CTA is to sign up for a free trial, but in addition to that, they weave in other pieces of copy to further educate their prospects, so they have can more meaningful and engaged conversations throughout their marketing funnel. Part of Zendesk’s primary navigation is dedicated to content. I like that they’ve differentiated themselves by calling this section “Best Practices” over the standard “Resources” title as I think it makes the information feel more accessible. While some of their content lives behind forms, a lot of it doesn’t, so one recommendation I would have for them would be to gate more of their larger-form content offers. This way, they can capture more leads and instead of just generating tons of website traffic. And to that end, I would also like to see CTAs at the end of their blog posts, so that once someone is done reading an article they have an opportunity to convert. As a software company that's focused on conversions, it’s expected that Unbounce would have a strong content marketing strategy. The software enables marketers to build conversion-optimized landing pages, so the team over there surely uses the tool for their own marketing. The Unbounce blog is filled with valuable content focused on conversions and is organized in a variety of topics. They also offer live webinars, content guides and even a full-blown course. All of which are free to use - you just need to hand over your email address. One thing that I noticed on their site that I haven’t seen many other SaaS companies do is offering a separate blog focused on company culture and events. The Inside Unbounce Blog is written by the Unbounce staff and is an un-curated window into their journey as an organization. It’s real, it’s authentic and it helps give the company more personality and character. It’s one of those things where if you have the time, I think it would be a very interesting read. No SaaS content marketing list could be complete without Moz. We’re big Moz fans over here at New Breed. It’s a tool that we have found tremendous value in and use on a daily basis - both internally and for clients. Moz produces A LOT of content. They have a strong blog, which features articles from leading experts in a variety of fields and a thriving community of marketers, SEO analysts and more. But what I love about their content strategy the most is their long-form pieces of content - their beginner's guides - which are pages and pages of super valuable information. They’re almost like a mini-course in themselves. Wistia focuses on video marketing and, therefore, video is a key piece of their marketing strategy. The learning section of their website is the hub of all their content and features their blog, their videos and their community. The Wistia Learning Center is a collection of video tutorials on topics ranging from production, strategy, concepting and marketing. They’re all free, but at the end of each video they ask for your email. In addition, Wistia places related links to other resources in their video descriptions. What’s really great about the Wistia Learning Center (aside from the videos themselves) is that they have a very active community of people commenting and asking questions. Wistia also sees the value in this and you can see the Wistia staff are taking the time to answer questions and engage in the conversation. That can go a very long way and take a passive reader/watcher and turn them into a raving fan. Pegasystems offers a world-class business process management software used by enterprises across the globe. They have a large audience and target multiple buyer personas in their marketing efforts. Many companies would get overwhelmed when it came to marketing to this wide variety of people, but Pegasystems has turned it into an art form. Not only is their website optimized for the buyer’s experience, with strategically placed CTAs throughout the pages, but they have dedicated an entire section of their main navigation to content. From ebooks, white papers, reports, videos, infographics and a popular blog, they have all the pieces working together to increase their lead generation efforts. Any companies you think we missed? Which of these strategies are you using in your own marketing? We’d love to hear, so leave us a comment below!